Every chapter of life presents unique challenges. The senior years are no different. A lifetime of experience has made you wiser and smarter than ever before. Your interests may have expanded into new pursuits, and you may find that family matters more than ever. Mobility concerns and safety issues can also spring up with age, making it more difficult to enjoy your retirement. These helpful services for seniors in Fort Myers, Florida, can help bridge the gap between what you want to do and what you can do. Lee County is home to a wide variety of recreation centers that offer free and discounted activities. Lakes Park, for example, offers a wide variety of activities, including outdoor fitness equipment, miniature train rides, rentable gazebos, splash pads, sand volleyball, and more. For seniors who want to spend time with grandkids, the Wa-Ke Hatchee community park is a great option that boasts a wide variety of amenities including two lakes, walking trails, a playground, a dog park, tennis courts, pickleball courts, sand volleyball courts, shelters, and restroom facilities. Seniors who continue to live in their homes but who are unable to cook or shop can suffer from nutrition problems that make other ailments worse. Meals on Wheels offers quality nutrition and regular visits. As part of the visit, a Meals on Wheels volunteer will ensure you’re safe and feeling okay. Friendship Centers are part of a large nonprofit organization designed to meet the needs of seniors at every stage of the aging journey. Boasting a retired senior volunteer program, adult day care, home visits, nutrition programs, and a variety of wellness activities and seminars, Friendship Centers scattered across Fort Myers help seniors who choose to live at home remain active and healthy. Aging can slow your reflexes and dull your vision. Florida’s Senior Safety Resource Center offers continuing education to senior drivers, as well as a driving fitness exam. For seniors who no longer feel comfortable driving, the Center offers access to a variety of Fort Myers-specific senior transportation services. SHARE Club offers a powerful self-care model, offering free health education and a wide variety of senior-friendly events at its two Healthy Life Centers. With diverse course offerings ranging from yoga to nutritional seminars, seniors are sure to find something that strikes their fancy--or that inspires a new passion. This organization offers comprehensive access to services for seniors with disabilities. A nonprofit organization, AAASWFL offers an elder helpline, help finding in-home care, access to senior living communities, services for veterans, information about elder abuse, and more. If you’re beginning your search for senior support, this is a great one-stop resource. This nonprofit organization offers a range of services designed to keep seniors independent and involved in their local communities. They help seniors find jobs, offer a senior companion program, provide transportation services, and offer multicultural intergenerational events. For seniors interested in giving back, the Center offers a foster grandparent program that enables seniors to serve as “grandparents” and mentors to at-risk youth. Managing your finances can become more difficult with age. The right CPA can help you pay your bills on time, answer questions about planning for the future, and help you decide which living arrangement will best meet your financial needs. Find a Fort Myers CPA who specializes in senior issues here. The Florida Department of Elder Affairs can help seniors with a wide range of issues. They offer a legal assistance program, a legal helpline to answer questions about estate planning and other common issues, and referrals for lawyers who specialize in senior issues. Their wide range of programs support caregivers, offer interventions for seniors who are neglected or abused, provide emergency housing, offer nutritional support, counsel seniors about hospice care, and more. No one wants to spend their retirement feeling isolated or stressed about health issues. Barrington Terrace of Fort Myers offers an alternative. 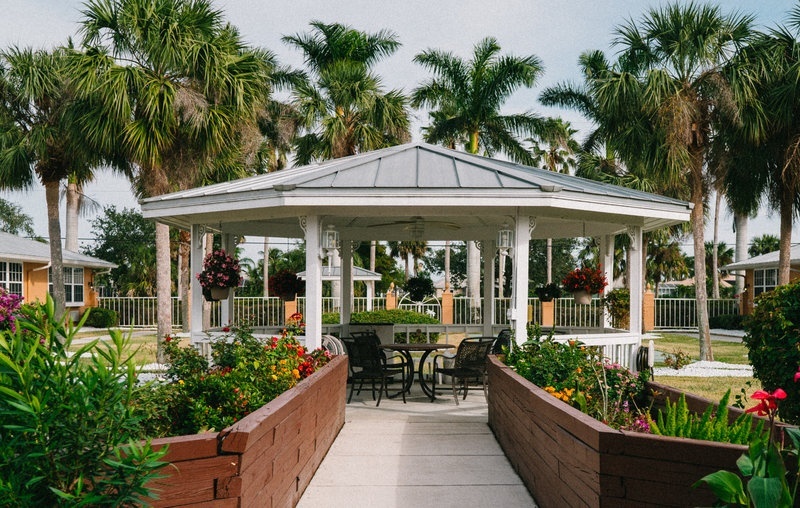 Our luxurious accommodations, gourmet meals, and caring staff allow seniors to remain independent, while fostering a lifetime of learning, socialization, and fun. Contact us today to learn more about what we can offer you or the senior you love.